Measurement forms an important part of workshop operation and hence tools for measurement are equally important. Various types of tools are required to measure different types of dimensions. In this article we will learn about calipers which give us a convenient means to measure the dimensions of objects of varying geometry such as circular radii from without or without as explained bellows. There are two main types of calipers used in the workshop namely inside calipers and outside calipers. The shape of both these calipers has been shown in the next section as you can see before reading further. As you can see from the pictures there calipers are in the form of two legs which are hinged or pivoted at one end while the other ends are free to move about the hinge. 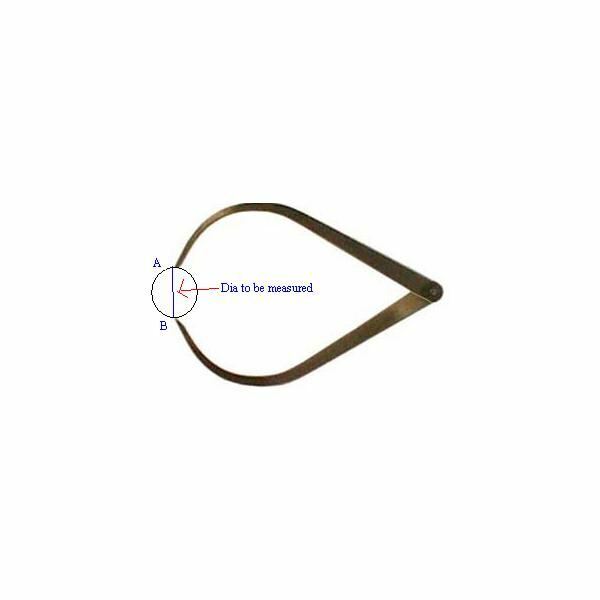 The only difference between inside and outside calipers is the direction in which the end are bent so as to span the relevant surfaces whose diameter needs to be measured. The operation and use of these calipers is fairly simple. Whenever you need to determine the dimensions of an object or surface, the appropriate caliper is made to touch the surface on both sides and then the opening of the legs is measured using a scale which gives a fairly accurate idea about the dimensions. In both the diagrams below there is a circular object whose inside and outside dimensions need to be measured and the pictures are self explanatory. The calipers need to be placed at points A and B in both cases. Inside calipers are useful for measuring dimensions pertaining to tubular and hollow objects while the outside calipers can measure the outside dimensions of any object or surface when placed in the proper position. 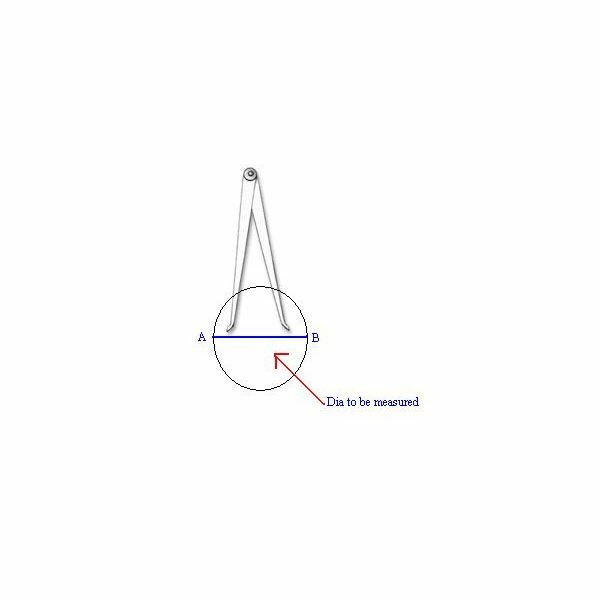 In case of measuring circular objects or outside radius of a spherical object make sure that you hold the caliper in such a manner that it touches the surfaces at the points which are maximum apart otherwise an error in reading would occur. It is also necessary to ensure that the legs of the calipers in either case are neither too tight nor too free to move about the hinge. The reason for this is that if the legs are too free they will move when measuring against the scale thus giving error. On the other hand if they are too tight they cannot be easily adjusted to gently touch the surfaces to be measured. If the legs are joined using a nut arrangement it can be tightened for adjusting the grip otherwise if it is a riveted type it can be gently hammered to tighten the movement.